Nursuluu from Kyrgyzstan is 34 years old and has 7 children. She has been involved in agriculture for many years, starting this business in 2010 with almost nothing. Today Nursuluu’s profit amounts to about 20,000 som (KGS) per month. Her farm has 5 cows, 41 sheep, and 1.3 hectares of land, where she grows cotton, tomatoes and cantaloupe. She sells her ecologically-clean and delicious produce to wholesale customers. In order to further develop her business, Nursuluu requested a loan in the amount of 80,000 som KGS (US$1,400) to buy fertilizers for treating the soil, seeds and plastic for her greenhouse. Nursuluu plans to invest the earnings from the loan into continued development of her business and will pay back her loan over the coming 14 months. We lend her US$25, as part of the batch of 113 micro-finance loans we allocated in the past weeks, to women from all over the world, working in agriculture. Shoghik is from Dalarik in the Armavir region (Armenia). She lives with her husband, their two children (3 and 7 years old), her parents-in-law and brother-in-law. 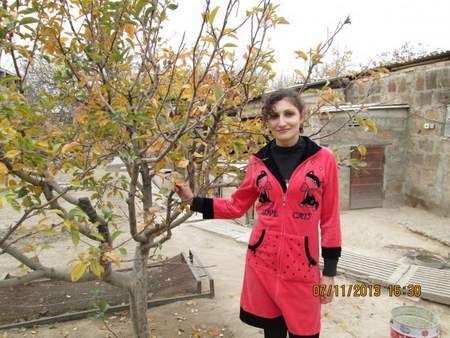 Shoghik works as a teacher at the village local school, where her mother-in-law also teaches. Her husband is a policeman. However, their salaries are too low to sustain their living expenses. So, Shoghik and her family are also involved in cattle breeding, in breeding pigs and piglets, and in the cultivation of alfalfa, peaches and apricots. The family sells the agricultural products in the local market, which is an important source of their income. 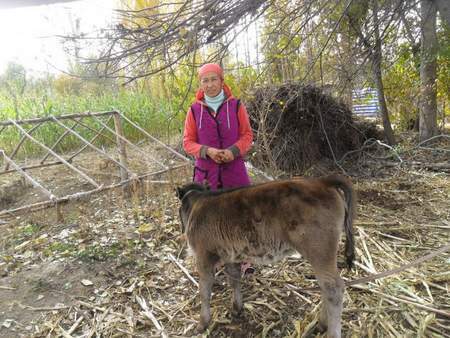 To continue running the agribusiness in a sustainable way, Shoghik needed a loan of 3,000 USD to purchase five steers, to buy forage for the livestock, and to purchase fertilizers. Our loan to Shoghik was one of the 42 micro-finance loans we issued this week, to women and women’s groups in Vietnam, Armenia, Kyrgyzstan, El Salvador, Tajikistan, Kenya, Cambodia, Uganda, Peru, Ecuador and Costa Rica. Today, we issued a new batch of microfinance loans. This batch contained only loans for groups, mainly consisting of women. In a group loan, each member of the group receives an individual loan, as a part of a larger group of individuals. The group is there to provide support to the members and to provide a system of peer pressure. Groups may or may not be formally bound by a group guarantee, where members of the group are responsible for paying back the loans of their fellow group members in the case of delinquency or default. Kiva’s Field Partners typically feature one borrower from a group. Let’s take the case of second loan, featuring Jamila, a mother of six, in Pakistan. Jamila will utilize the loan for her dairy and livestock business. With the loan investment, she, and her husband will buy a buffalo that will help him get larger quantities of milk for sale.